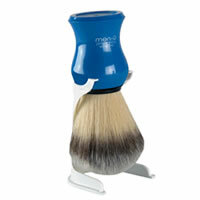 men-u Premier Shaving Brush and Stand enables you to get that barber shop shave at home. Good barbers use a quality shaving brush to facilitate the optimum shave. 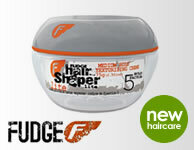 The bristles have to be a balance between resistance to raise the beard and softness to generate a fine, rich lather. These bristles are soft like badger, even though they are synthetic but with resistance to raise the beard, making a closer cut easier. After 3 years in development - this is a revolutionary, new type of shaving brush. Probably, the first significant change to the shaving brush in over 250 years and we believe it is simply the best shaving brush you will have used!